The extremely popular Bavorov Side Glass Model is now available also as a wall mounted unit. Not just a means to fight off those winter chills, this fireplace beautifully showcases the masterpiece fire that is blazing inside, with the side glass panels providing the best possible visibility of your heating handiwork. 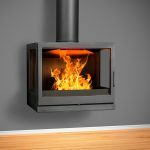 Beauty of the fire aside, the unit itself is cast iron and has a deluxe modern design that looks sleek and sophisticated. 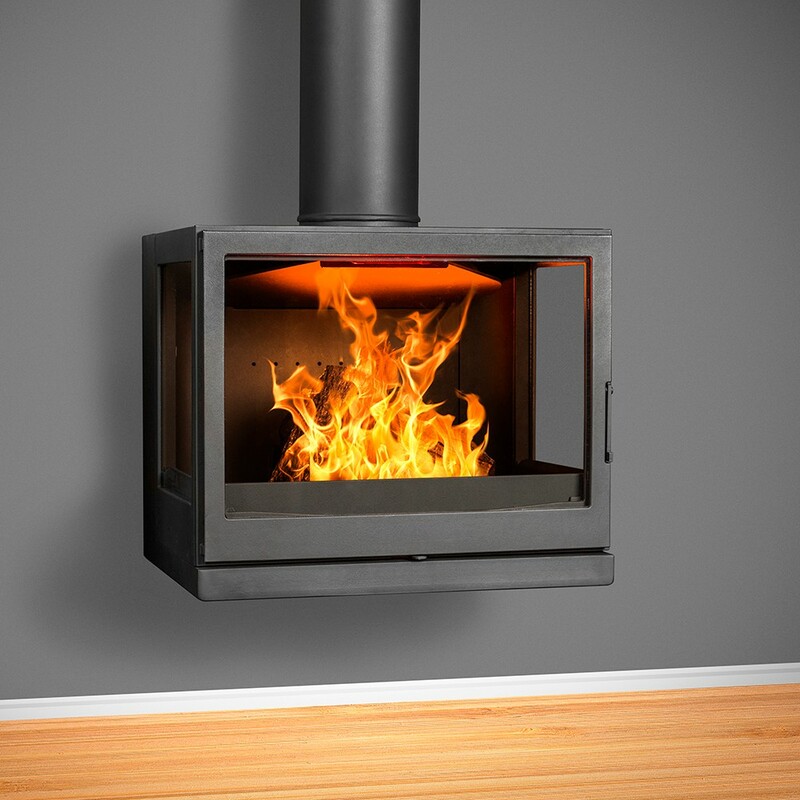 Producing up to 16 kilowatts of power, it’s a stylish heating solution that is ideal for a medium to large space. All our fireplaces are imported from Europe and boast a strict CE certification, so you know you can rely on the quality of any unit you purchase from Hydrofire. Just to ensure you sleep well at night, they come with a 5 year warranty too.